“No hamsi, no money.” Mert Kanal hoses down empty Styrofoam containers and surveys the leftover catch in his market in Sinop, on Turkey’s Black Sea coast. The gulls squawk, fighting over scraps on the dock while fishermen tidy their nets for another night of fishing. The hamsi, or anchovies, are gone for the season, moving up the coast in dwindling numbers as hulking factory ships chase them. 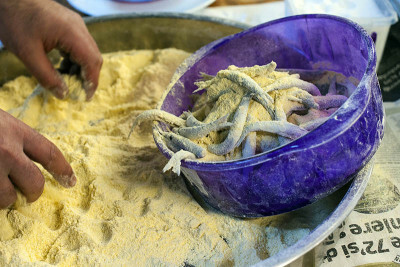 While mackerel, turbot and whiting are all fair game for fishmongers, hamsi holds a special place in Turkish cuisine. 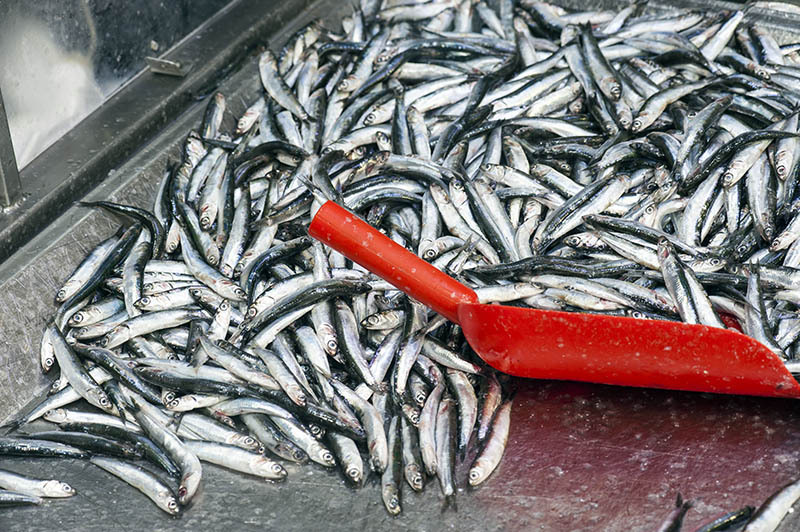 Unlike the slimy, salty canned form of the fish reserved for eccentric pizza toppings in North America, anchovies are eaten fresh in Turkey. Lightly battered, quickly fried and served with a slice of lemon, hamsi are gobbled down by the kilo, bones and all. 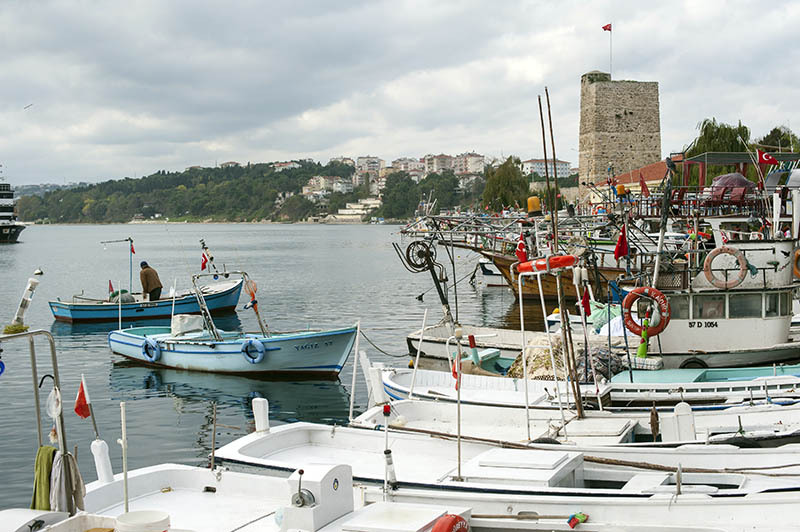 Fishing still thrives in Sinop, as in ancient times – for countless generations, fisherman here have pointed their personal boats out to sea in search of hamsi. But sadly, that may not be true for much longer. The crumbling old city walls no longer guard an important trade hub along the Black Sea but seemingly serve to contain apartments and vacation rentals from falling into the sea. Most of the traders at the market now only come on Mondays and Thursdays, hauling both produce and clothing. In Sinop’s harbor, dozens of small wooden boats are moored next to giant industrial behemoths painted the colors of their fleet. “We never used to eat hamsi before the snow, but now it’s different,” said Kanal, a third-generation fishmonger and the owner of the Okyanus Balık Evi (“Ocean Fish House”) restaurant on Sinop’s waterfront. As the weather cools heading into winter, the fish put on a layer of fat to keep warm that in turn increases their rich, buttery flavor, but this window varies dramatically from year to year. The fish follow a seasonal circuit around the Black Sea, and the quantity of fish dictates the length of the season. Hamsi season used to come at about the same time as the first snow, when the fish migrated along the Black Sea coast toward Russia. But with changing weather patterns and overfishing, sometimes old Turkish adages are no longer applicable. This year, the fish were gone before the first snowflakes hit Sinop. By the last week in December, they were off the coast of Georgia, and as the new year began, they were nearing Russia. Throughout the year, small batches of hamsi will crop up off the Turkish coast and come on the market, but the vast majority of fresh fish is gone by springtime. “Usually we have maybe one week of hamsi, this year one month. You never know. When it is done, it is done,” Kanal explains. 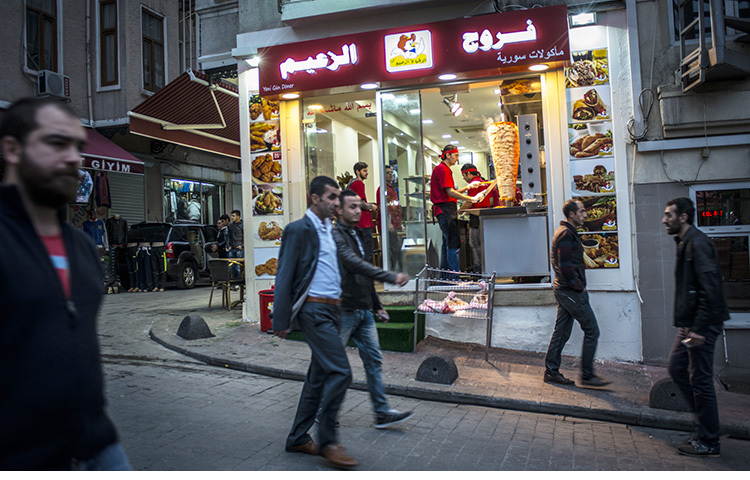 Ideally, hamsi should be eaten the same day they leave the boat, but given Turks’ appetite for hamsi year-round, what you normally get is frozen. Massive factory ships catch as much fish as they can, flash-freeze the fish while on the open water and haul it back to ports like Sinop and Trabzon. From there, the several-day-old fish is boxed in Styrofoam containers with ice and sent to major hubs like Istanbul and Ankara. On a good day, Kanal sells between 100 and 200 containers of fresh fish to customers in Sinop alone. The presence of fresh hamsi in the markets drives prices down, because local fishmongers receive so much that they often cannot sell it all. 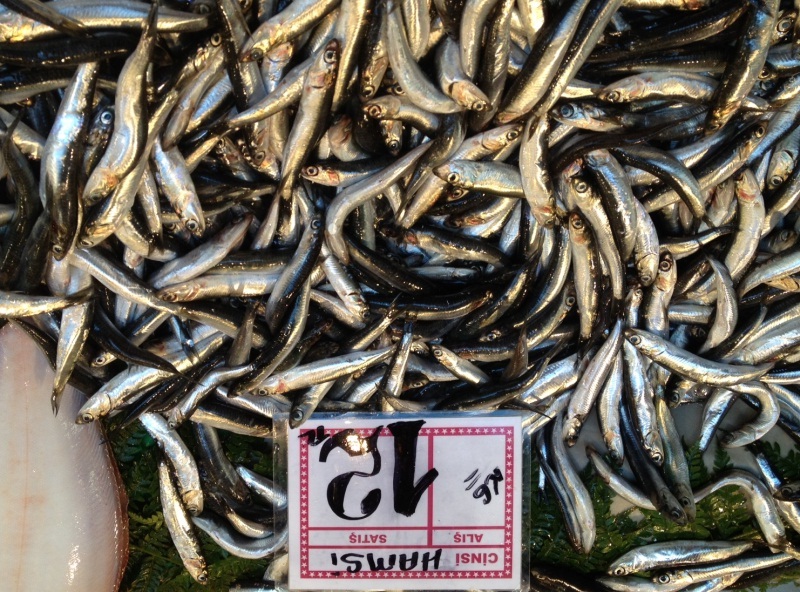 Consequently, sea bass, needlefish and Norwegian salmon drop in price as well. What he cannot sell, he throws away, because his shop only sells fresh fish. 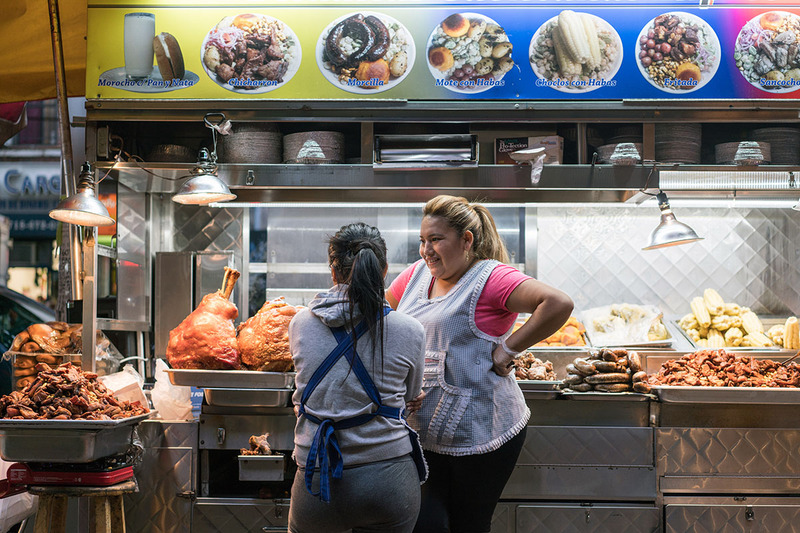 Fishmongers like Kanal buy from both small-time fishermen and large companies. A complicated ledger system records how many boxes are dropped are off by the respective fishermen, allowing Kanal to pay out according to how much fish was deposited in the early hours of the morning. 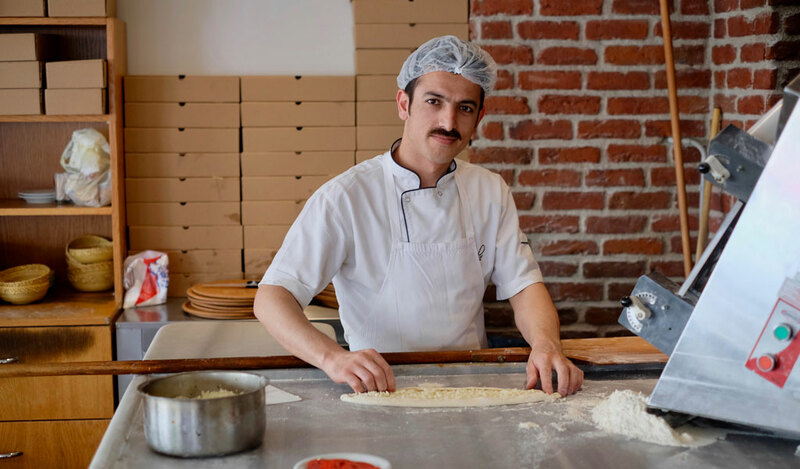 Kanal’s family business has expanded over the years, after he started out as a small fishmonger tucked into the base of Sinop’s castle walls. Five years ago, they added a restaurant, serving locals and tourists flocking to the city during summer months. 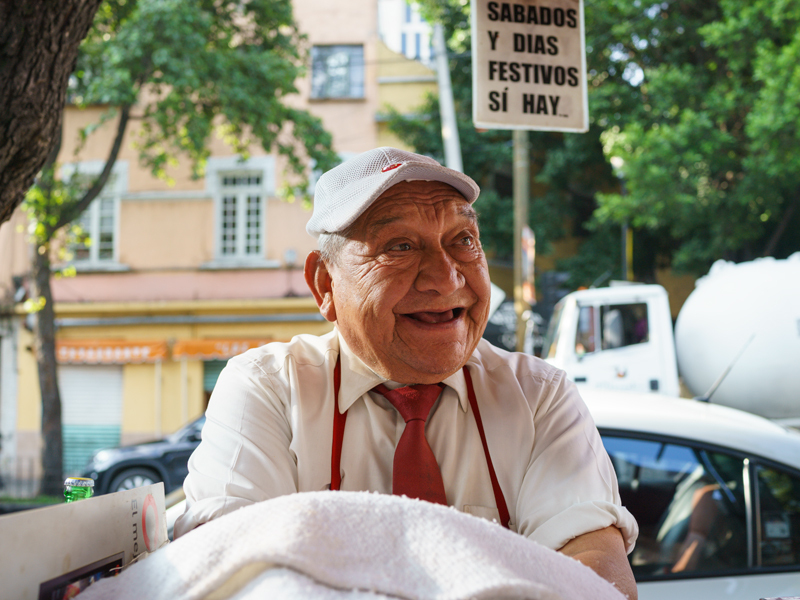 The passion he has for his business and his family members, many of whom work in the fishmonger’s on the first floor, is evident in his constant presence. His uncles are often on the front lines slinging fish, while Kanal’s mother holds down the fort at the cash register. If you don’t encounter Kanal chatting with customers or restocking the day’s catch, he is in the kitchen or zipping off to the daily fish auctions on his moped. Everything at the restaurant is made in-house, evidenced by the innumerable, massive jars of pickled produce stacked on the stairs leading to the restaurant, looking like liquidy vibrant-green depth charges. 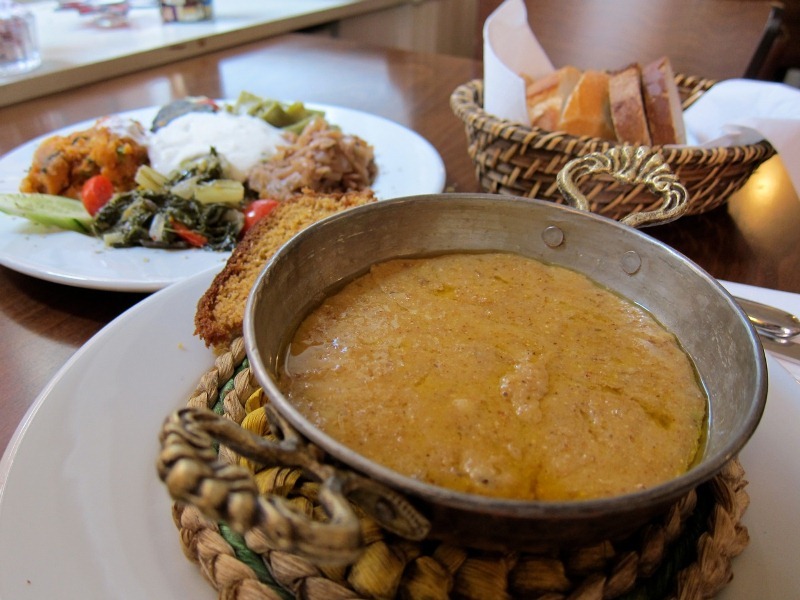 Besides hamsi, Okyanus features incredible fare that is hard to find outside of the Black Sea region. No meal here would be complete without an order of the restaurant’s special fish soup. The flavors are almost indescribable, mixing a bite of mustard with dill and fatty white fish, making a hearty yet refreshing brew to warm the coldest bones and whet the keenest appetite. For our main course, we asked what was fresh off the boat and had the fish prepared according to the chef’s preference. The flaky and crunchy fried whiting, along with the succulent hamsi, were our favorites. Washing down the sumptuous morsels was best accomplished with either şalgam, a spicy, deep-purple beverage made from the juice of black carrots and turnips, or rakı, the potent anise seed pomace brandy often called the national drink of Turkey. Crunchy pumpkin desserts cured with limestone and soaked in a sweet sauce are relatively common in Turkey, but Kanal’s family recipe has a completely different texture, hearkening back to our childhood pumpkin pies. The deep umber flesh of the pumpkin dissolves in your mouth immediately, the only remnant being the sweet, fatty texture of the kaymak (clotted cream made from water buffalo milk) that graces the top. It’s the perfect dish to round out a meal of salty fried fish and vibrant arugula salads topped with fresh garlic. Sadly, the number of cruise ships has been dwindling, limiting Kanal’s potential to expand his business, although he has plans to add aquatic artwork and further improve the restaurant. 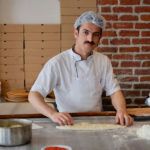 While fresh fish is still headed for the restaurants and kitchens of Turkey, the shift of the hamsi season to earlier in the year may signal problems to come. With changes in fishing techniques and an ever-increasing population salivating for the delicious bounty of the sea, the coming years may begin to see less and less hamsi on the market. For now, the delicious little fish are still with us, and in Sinop, not only will your appetite be satiated, but you might get a glimpse of why hamsi are so important and worth protecting for growling stomachs in the years to come.